Housekeeping first - Did you know you can now Follow my blog with Bloglovin? It;s my new favourite thing to replace Google Reader! Now onto baking - I have an utter obsession with tray bakes and bars right now, I think it's the ease of throwing them together and the fact I can wrap them for the kids lunchboxes that's appealing to my motherly nature. 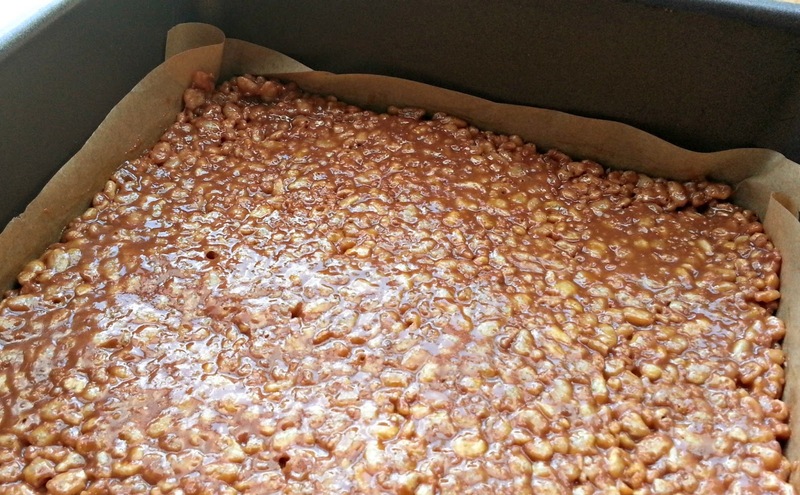 My pinboard is FULL of tray bake bar recipes that I'm itching to try out! 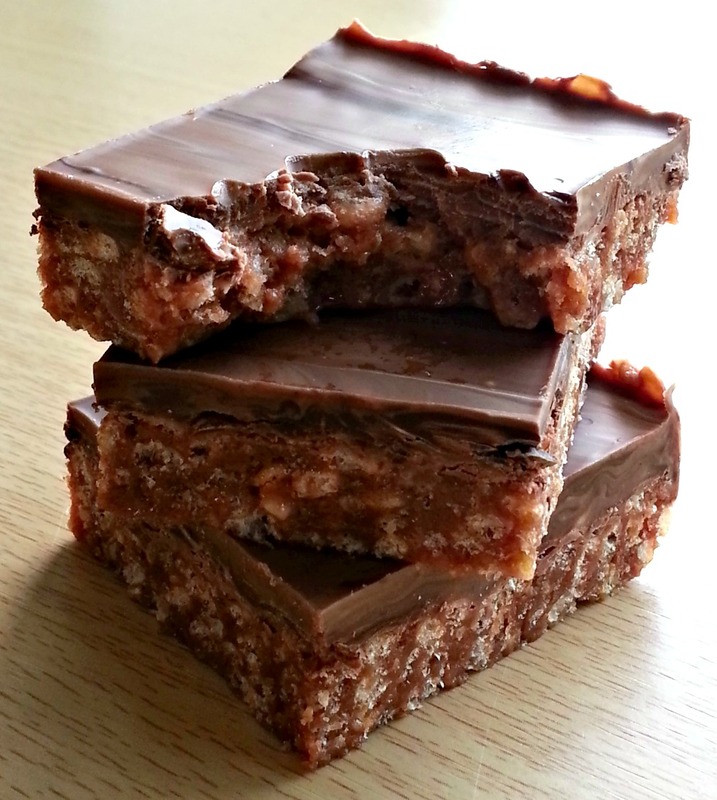 Now, Mars Bars - I'm actually relatively new to the idea of using mars bars in crispy cake recipes and what a genius idea it is! All the caramel, chocolate and nougat melts beautifully into a gooey sticky mess which pairs so well with the rice krispies and it makes for such a quick sweet treat. 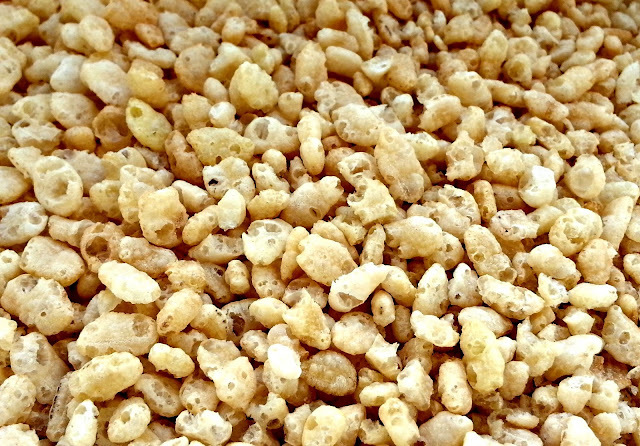 There is nothing more therapeutic than bashing rice krispies up! Chocolate poured over - looking yummy! Heat the Mars Bars and butter in a microwave until melted - slow and low! You don't want to overheat your mars bars as they'll seize up so check you mix every 15 seconds. Pour over your Rice Krispies and mix together with a spatula. 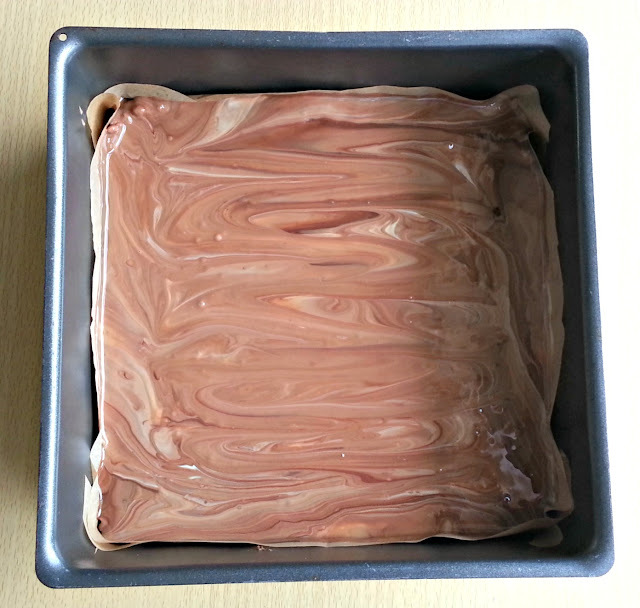 Press the mixture into an 8" square tin lined with greaseproof paper. 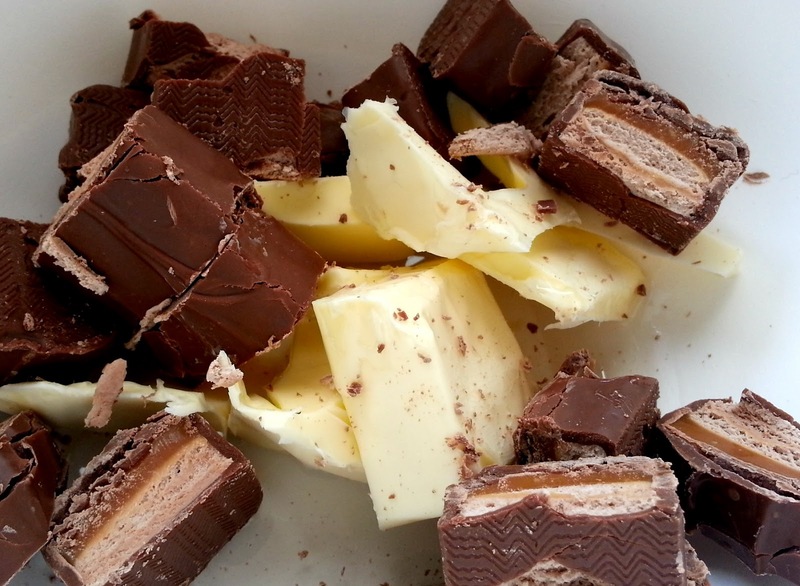 Melt the chocolate and pour over the mixture, chill in the fridge for at least an hour then cut into small squares. 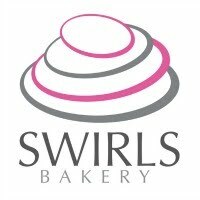 I swirled my chocolate as it was a combination of milk and white which gave it a lovely finish! Oh My! I'm going to have to make this STAT! 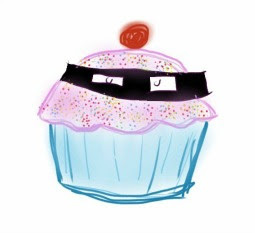 =-) This looks amazing but simple.